I don’t think I’ve ever been to a film where after the credits roll and screen goes black the audience still sits in their seats taking it all in. Even after a (more than) 2 hour film, the feelings that the movie evokes remain. When we first see Oliver and Elio getting to know one another, it’s certainly not love at first sight. They seem to go back and forth with subtle hints followed by giant steps away from each other. One might think this draws the movie out too much – after all it is over 2 hours long. However, this set up is necessary to construct the push and pull of their situation. In some ways this reminds me of Marco Berger’s Hawaii (2013) or Taekwondo (2016), but with more plot and reveal.We see both Oliver and Elio attempting to lead “normal” lives with varying degrees of success. Despite what they feel under the surface they are discovering themselves. More so in Elio’s case as he is just discovering his sexuality and perceiving his desires. Elio is also finding himself, his confidence. Like the romantic story of the knight who doesn’t know whether to speak his truth or die, Elio must choose which type of person he will be. The words, ”Because I wanted you to know…” are the beginning. Oliver is older and although he is further along in his development, he is still exploring himself. One of the first things I wrote down observing him is “why is he so hungry?” Between the egg and the apricot juice, at first, I thought he was just a gross eater. But metaphors are always fun, and this one is just right in your face. Oliver comes across as someone who, once he is engaged, puts his all into it. As their relationship develops, we start to see where this will lead as Oliver is only in Italy for six weeks. But this doesn’t limit the film or even where the story has a chance to go. The story immerses us in every feeling that a relationship brings with it, and the exploration of what happens at the end of the tale is a key to the film’s triumph. There is a key scene towards the end that as one character says, “will clear the air.” It isn’t reductive in that it sums up the movie for you but adds to it ways that are unexpected. It ties together themes of how we understand what love is and how we process pain. Some viewers have commented that this part will “hit you like a truck,” and I would agree. The whole film seems to compound on itself diving into deeper layers of the drama as it unfolds. I found it to be unexpectedly affecting, delightful, and turbulent. 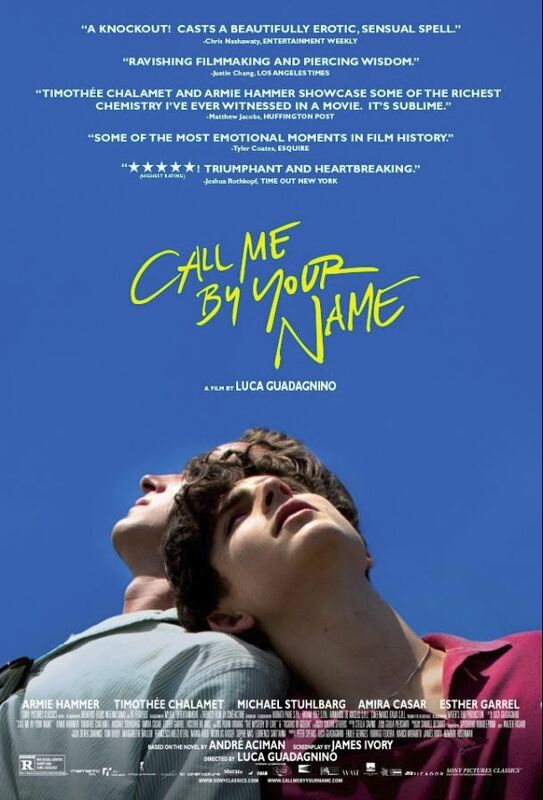 Not just a gay-themed film, but one about many aspects of self-discovery, first love, and being able to feel everything.